Made by hand in Central Australia using products made and collected on the million acre cattle station we call home. 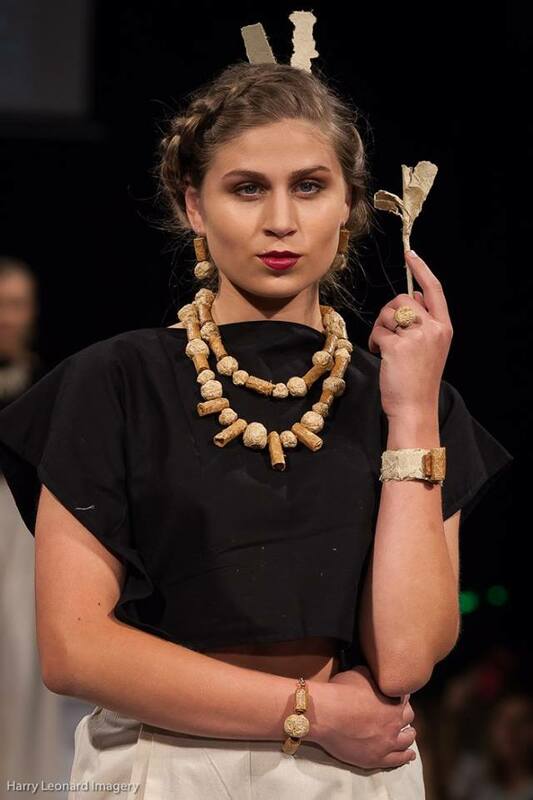 The paper used to make this piece of jewellery is hand made from the native Central Australian Grass in the Old Abattoir. 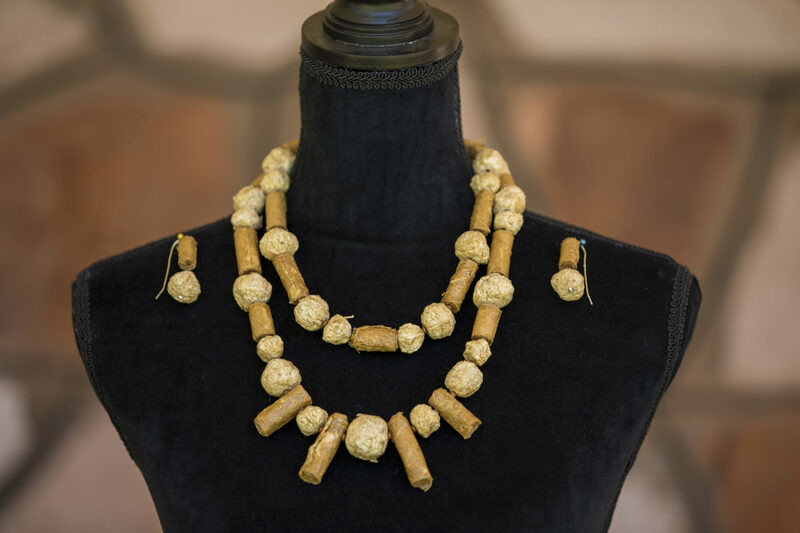 This earrings and necklace set is made from Mulga Grass Paper Beads and Pulp Beads. 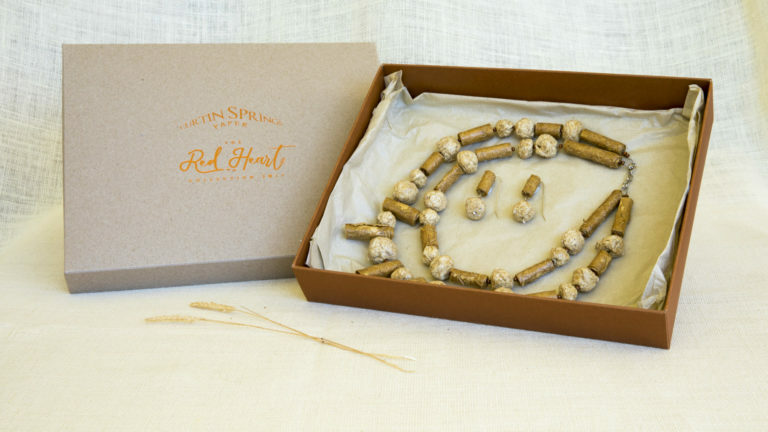 Made from Curtin Springs Paper and part of The Red Heart Collection. 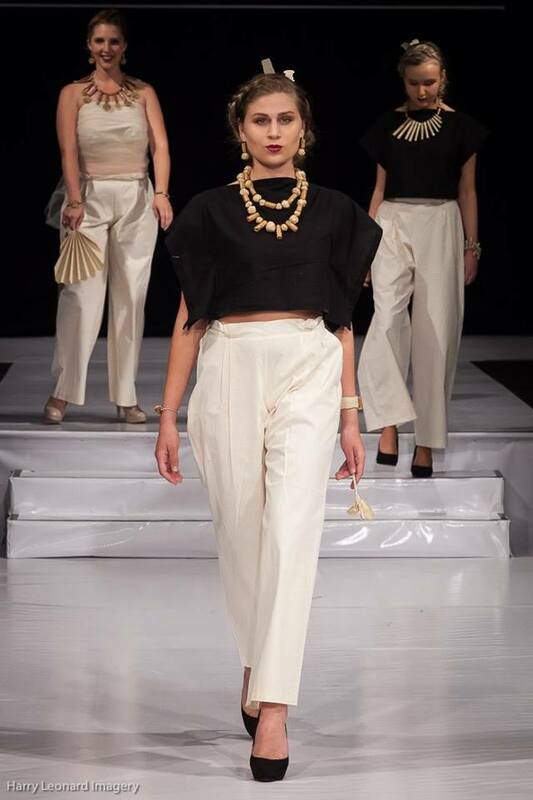 This necklace was made specifically for inclusion in our collection at Eco Fashion Week Australia 2017.